Darkfall: Unholy Wars will be getting some PvE content in the form of quests that will not be your usual talk to Person A, kill 10 rats, and return for some silver pieces. The quest system will be far more dynamic than what average MMOs are offering these days, which will hopefully offer a good PvE experience without MMO-burnout issues that stem from doing 90 levels of boring kill quests. The developer post on the quest system sounds like they want to create a non-linear experience to fit into the game instead of just adding in a bunch of quests that wouldn't make sense for the game. Wading through a large amount of unnecessary quotation in the dev post, there are several really neat ideas going into the quest system that, if they pull it off, will be hugely successful. First of all, you won't be wandering around Agon looking for NPCs with exclamation marks over their heads. Quests can present themselves when players get to certain stages in the game, which can then be pursued or ignored. These can happen at any time, whether you're using an item for the first time, you're in an area and the world time is right, and what have you. There won't be any necessary path to get to max level the quickest and most efficiently. I'm sure this won't stop people from figuring out what triggers certain events and people will still put together ways they feel are the best ways of leveling in the game using the new quest system. In the dev post, it's noted that a graph system that some other games use for dialog choices will be adopted. The way I see it, it will be a lot like the story dialog in STAR WARS: The Old Republic. Each point of interaction will offer not one, but several choices. Each choice will further branch off as you progress through the interactions, eventually getting you to one of the possible outcomes. The system is set up to allow for multiple outcomes to give a personal touch to questing in Darkfall. This allows for the system to be plugged into other game mechanics, while continuing to be highly customizable. 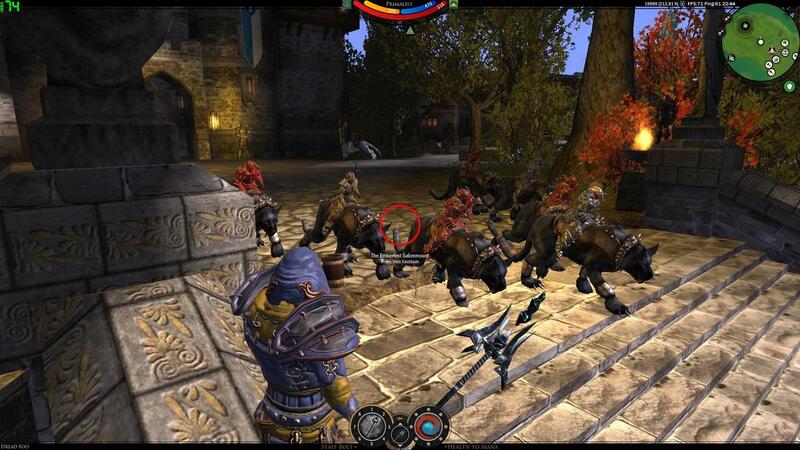 With the new questing system, Darkfall has three major points that it wants to achieve. First and foremost, it looks like a tutorial that's not a tutorial will be tied into the quest system, to better teach new players what to expect and how to interact with Agon. Secondly, the quest system will be another means of getting lore and the world story to players. Lastly, this will give players new goals to work towards and achieve. I think the non-tutorial part will be really interesting to see how they address this issue in a non-traditional manner. While this sounds like a really rad system, there are still player concerns about ganking and roving packs of grievers. It will be interesting to see how this plays out with the new questing system and whether or not these alpha-male types will continue to go out to find low level players to spawn camp or if questing will breathe a new sense of life into the game, letting everyone be too busy going about their own thing and then just letting PvP happen for the sake of PvP.